A Japanese saying that “Even Monkeys Falls from Trees” meaning “everyone makes mistakes” is a most appropriate slogan for Ice Cross Downhill, as newcomer Saori Fukuoka from Yokohama learned in her first race. 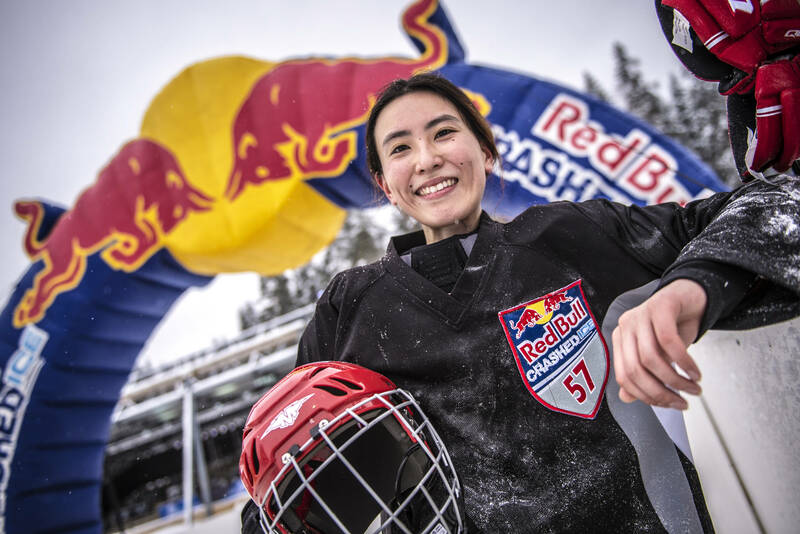 The 25-year-old former figure skater from Yokohama was captivated when she saw a Red Bull Crashed Ice race broadcast on Japanese television four years ago and could think of nothing more that she wanted to do. 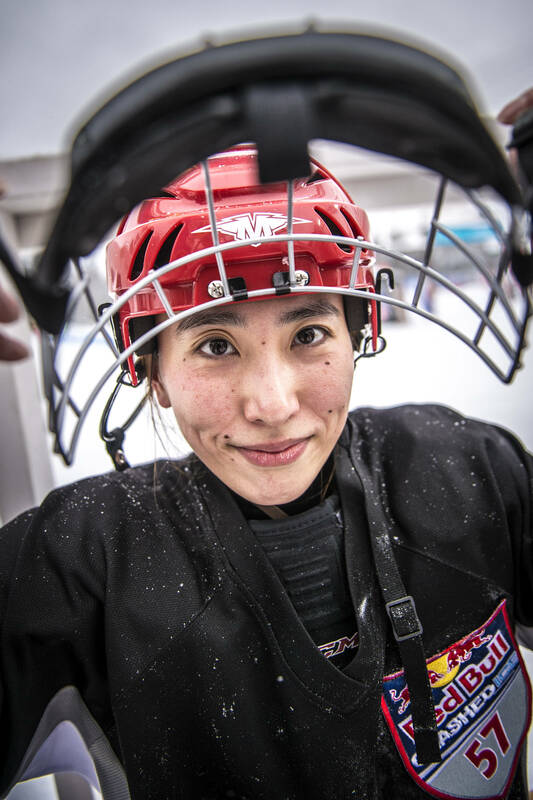 So, the shoe store worker first moved heaven and earth in Japan to track down her role model Junko Yamamoto, a veteran on the Red Bull Crashed Ice circuit since 2010 and an ice hockey player in the Japan Women’s Ice Hockey League. Impressed by Fukuoka’s enthusiasm for the sport, Yamamoto gave her tips over the phone and helped pave her way into the ATSX Ice Cross Downhill World Championship. Fukuoka came to Finland to watch a race two years ago. 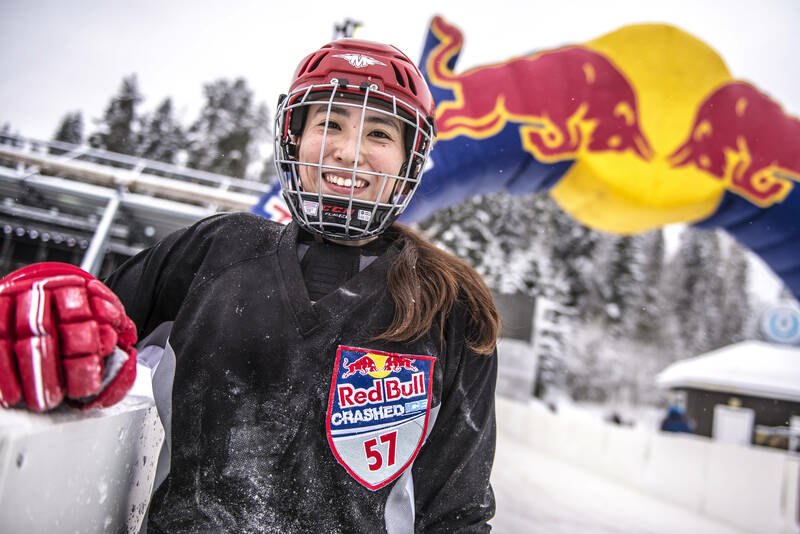 “I really wanted to see the longest track and got so excited and wanted to take part myself that I swore to myself that I will be back one day,” said Fukuoka in Jyväskylä ahead of the second Red Bull Crashed Ice race of the year on February 3rd, clearly thrilled to be back and competing in the event herself this time. Fukuoka, who has six years of hobby figure skating experience under her belt, got her first taste of the action in the world’s fastest sport on skates last week at the Riders Cup race in St. Petersburg. Unfortunately, she didn’t finish the race because she crashed off the track and wasn’t able to get enough speed to climb up a subsequent incline. “I didn’t know that the sport was this fast,” she said. Back in Jyväskylä, not as a spectator but as a participant, Fukuoka is full of enthusiasm about the 630-meter-long natural ice track – the longest and most energy-sapping race track on the Ice Cross Downhill World Championship calendar this season. This time she is determined, more than ever, to reach the finish line. She rates her chances as strong – especially because the Red Bull Crashed Ice has sidewalls and those boards should prevent her from crashing off the track as she did in the Riders Cup race last week in Russia on a track without sidewalls. Her long-term goal is to help see Ice Cross Downhill expand and become more popular in Japan, which is hoping to host a race one day. Already popular in dozens of countries in Europe and North America, she would like nothing more than to see it become popular in Japan as well. “I hope the sport will grow in Japan” says Fukuoka about the ATSX Ice Cross Downhill World Championship. This entry was posted in Adventure, Global News, Lifestyle, Skate, Snow by admin. Bookmark the permalink.